3,500 people. 50 countries. Hundreds of breakout sessions. 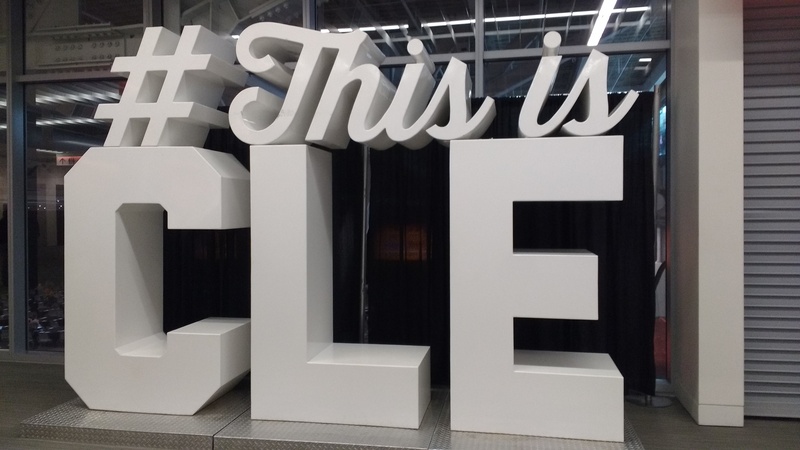 My experience at Content Marketing World 2015 (CMWorld 2015) was a whirlwind of activity, conversations, and lessons, and it’s hard to distill all that into bite-sized pieces. But I think it’s an important part of processing everything I experienced, so I’m going to give it a shot! Are you making content, or are you making a difference? Jay urged us to consider whether we are creating content just to check an item off a list or whether we are actually putting something into the world that will be beneficial to others. And this is the concept of “The Mom Test” as applied to content marketing. This came up during several of the sessions that I attended. Many content marketers fall prey to “shiny object syndrome,” geeking out over the latest trend, whether it’s a new(ish) format like podcasting or a novel social media platform (I heard a lot about Blab this year). But instead of spreading our efforts and attention to an ever-fractured group of pursuits, perhaps we should just focus on doing one or two things and doing them exceedingly well. Of course this sounds simple enough, but it can be a real challenge, especially in the fast-paced, trend-chasing world we’re living in. This idea came courtesy of keynote speaker John Cleese, who provided us with several examples of the characteristics of creative thinkers. People who are genuinely creative make play a significant part of their practice, and they delay making decisions as long as possible. Cleese gave the example of art school students who were asked to compose a still life. Some students snatched their items from the table and started sketching or painting right away, while others examined their objects for a long time before making their selection. They also seemed to not just look at their subject matter, but to perceive it through all their senses. This lengthy appraisal process eventually led to work that was significantly better and more creative than work from the students who made the snap judgment. He also recommended a book called Hare Brain Tortoise Mind by Guy Claxton. This book contains further examples of how slow, deliberate thinking facilitates creativity, whereas quick decision-making and analytical thinking is better suited for other types of output. One of my favorite concepts from Cleese’s talk was the idea of a “tortoise enclosure.” It can be a challenge to do your best slow, deliberate thinking when you’re in an open-plan office, for example. So it’s ideal to have a quiet place where you can go and just be. Allowing yourself a little time in a place like this can do wonders for your creativity. It sounds just dreamy to me! This idea came courtesy of keynote speaker Kristina Halvorson. It’s easy to get caught up in these types of numbers, because they’re easy to measure. But when it comes down to whether our content is being truly effective, they have absolutely no bearing on it. What does my customer/potential customer need to do? How can I be transparent about how things work in my company? How can I prioritize my customers over metrics? 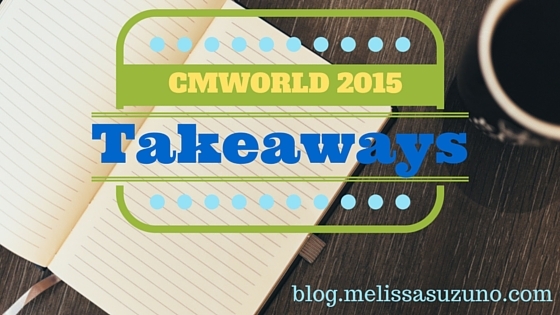 So there you have it—just a few of the big ideas that stuck with me during CMWorld 2015. It’s funny because all of these concepts were already familiar to me before I attended the conference. But there’s something about hearing them in a new context, with new examples that makes them seem revelatory and significant. Did you also attend CMWorld 2015? If so, I’d love to hear some of your key lessons and takeaways.